Visit our 5 acre garden center today! All Seasons offers a full range of landscaping services. After a full consultation, our team will create a custom design to transform your garden or outdoor living space. Let All Seasons give you the landscape you've always wanted. In addition to extensive landscaping services, All Seasons provides a five acre garden center and nursery. You will be sure to find everything you need for a do it yourself garden or landscape project among our large inventory. All Seasons has on-staff horticulturists to help you determine what will work best in your existing garden or landscape. Whether you are a beginner or experienced gardener or landscaper, come in today or check out our blog for gardening tips. For over twenty years, All Seasons has provided Lafayette, LA, and all of Acadiana with premier landscaping services and a full retail garden center and nursery. We take pride in helping you create an outdoor living space that you will love for many seasons to come. Whether you want to do it yourself or need assistance from our landscaping and design team, All Seasons is here to assist you. Our goal is to provide the first-rate service you deserve from a local business in Lafayette, LA. We wish to create an oasis for you to enjoy year after year - a retreat to melt away worries and share family memories and milestones. Please give us a call at (337) 264-1418 to schedule a free consultation. In our five acre garden center and nursery you will find a wide variety of flowers, trees, shrubs, landscaping supplies, seasonal plants, outdoor furniture fountains and more. Here at All Seasons, we keep a large inventory of products to ensure you will always be able to find exactly what you need. 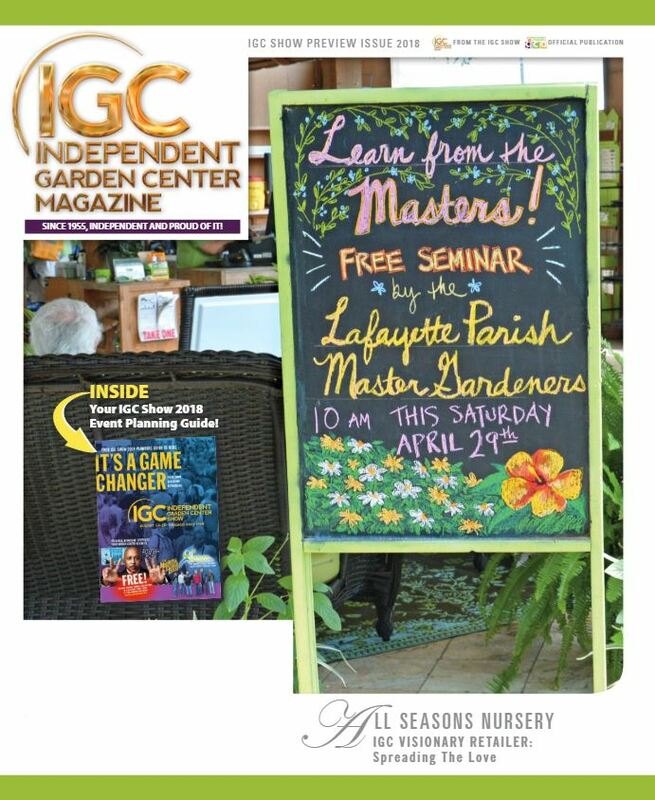 If you are a beginner gardener in Lafayette, LA, and are unsure of where to start, our experienced staff is here to work with you to determine what is best suited for your lifestyle and existing landscape or garden. In addition to our five acre garden center and plant nursery, we offer exceptional landscape design services and landscaping services in Lafayette, LA. Let All Seasons transform your outdoor living area into a dream landscape where you'll love to spend time with friends and family. We create a custom design for you after an in-depth consultation with our knowledgeable staff. If you are looking for someone to take care of the heavy lifting, installation or maintenance of your landscape or garden, our landscaping services are a perfect choice for you. View our 2019 Catalog Here! Thank you, Acadiana, for Voting us #1!